The era of the McMansion peaked during the previous decade. The trend of today is to downsize. The greatest move toward downsizing has come from those living in metropolitan areas. The market for micro apartments in expensive urban areas continues to grow. This certainly isn’t surprising considering the facts; the average monthly rental cost of an apartment in Manhattan is over $4000, with the cost per square foot at $60. It’s no wonder apartment dwellers have embraced a more minimalist style and are attempting to maximize every square inch of space. If you look around your home furniture you will probably find numerous possibilities for extra space and storage just waiting to be put to use. When you purchase high quality multifunctional furniture you are saving both space and money. Enter multifunctional furniture. 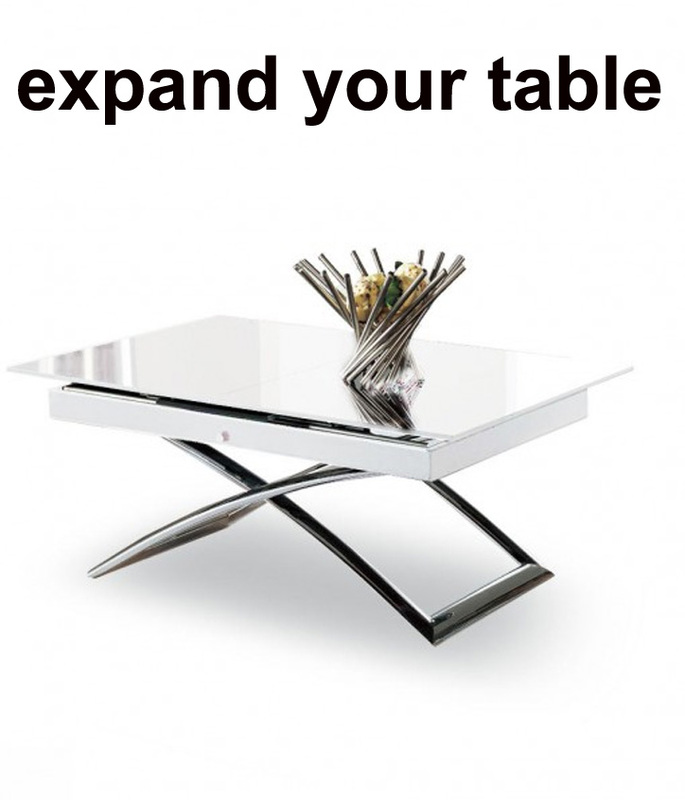 Extendable coffee tables are one such resource, with the ability to function as an ordinary coffee table while disguising the ability to raise to lap height, expand in size or move about on coasters. This means no more TV trays if you enjoy eating dinner while watching television. If you work from home, you can easily fit everything you need in the hidden storage space contained in one of our extendable coffee tables and raise it to a comfortable height when you are ready to work. No more stiff neck from doing paperwork in your lap. Those living in a tiny space don’t have the luxury of a dining room, and often miss out on the enjoyment of hosting a dinner party or holiday meal. Our extendable coffee tables can create a dining room where ever you set one up, enabling you to entertain dinner guests. When you live in a small space there are few options other than to buy furniture that serves more than one function. 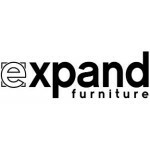 Expand Furniture offers numerous multi functioning extendable coffee tables with many different features to fit your needs. Our Box Coffee to Dining Table presents a low profile, sleek appearance, but hiding inside this table are enough leaves to expand to accommodate 10 dinner guests. It also contains a gas mechanism for easy lifting to table height. And last but not least, the legs contain locking wheels in order to maneuver easily from one place to another. 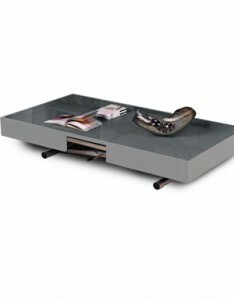 Expand Furniture also offers a Glass Box Coffee Table. Voilà, no more wasting space with a formal dining room. Our smaller Obsidian – Glass Coffee to Dining Table features sleek, modern, curved chrome legs giving it a minimalist, contemporary style. Not only is it a stunning coffee table, but it also expands to serve as a dining table. With the push of a button the gas mechanism lifts or lowers this beautiful table while a hidden leaf expands the table size. Why take up space with a large dining table that will only be used a few times a year? The Occam Coffee Table with Lift Top can be a great space saver for a single person or a couple. This attractive coffee table contains two lift tops that raise to dining or desk height. One opens up and towards you while the other can be opened sideways toward another person. If you do office work in your living room, you no longer need to do it uncomfortably hunched over. The lift top raises to a comfortable height and allows for lots of storage inside. Instead of your guests seeing a messy desk they will see a fine looking coffee table and never know that your laptop and office supplies are neatly stored away inside. The Occam Coffee Table can also be used for a convenient dining area and the inside storage is great for dishes. If you only require a single lift top the Boost Lifting Coffee Table fits the bill. Both of these tables are multifunctional and provide convenient hidden storage. 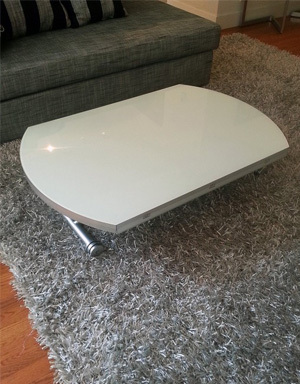 What’s unique about the Chord Round Lift Coffee Table is that it starts out as a rectangular glass coffee table but easily transforms to a round glass dining room table. It contains side leaves that can be folded up or down and has a gas lift mechanism that makes it simple to change the height of the table. It’s available in either a white or black glass finish. These are only a few of the tables we carry. Each table has unique qualities to adapt to your individual needs. 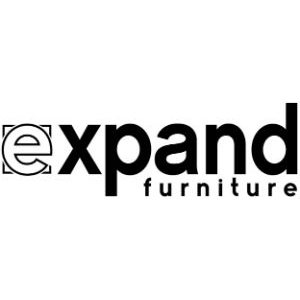 Expand Furniture understands the minimalist metropolitan lifestyle. All of our extending coffee tables are high quality and attractive, with prices that are hard to match. 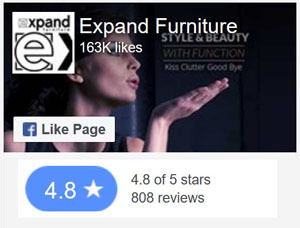 We stand behind each piece and offer complete customer satisfaction. Multifunctional furnishings like these expandable coffee tables offer unending possibilities to preserve valuable floor space while customizing your work or dining areas. Our innovative products will help you find space you didn’t know you had! 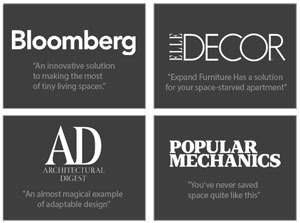 Contact us to get inspired and learn more about our transforming furniture solutions.